Oregon communities came out in large numbers to express their intent to build sidewalks, crosswalks, bike lanes, and other safety features to help more kids bike and walk to school. One hundred and 40 Letters of Intent (LOI) arrived at ODOT’s Active Transportation Planning unit office last month, totaling up to $200 million in potential projects for the Competitive Grant Program. Deadline for completed applications is October 15, 2018. Projects from Klamath County to Lincoln City, Hermiston, Redmond, Welches, Cottage Grove, Washington County, Salem, Confederated Tribes of the Umatilla Indian Reservation and more were submitted ranging in dollar figures of $60,000 to $2,000,000 each. The funds for this round of grants is capped at $16,000,000 and are being provided from Oregon’s General Fund as approved in House Bill 2017, the transportation package passed by the legislature in 2017. The funding is broken into 3 sections. Competitive Grant Program: The majority of the funds, 87.5 percent or greater, are used for a Competitive Grant Program to build street safety projects to reduce barriers and hazards for children walking or bicycling to or from schools. Rapid Response Grant Program: Up to 10 percent of funds are used for urgent needs or systemic safety issues that occur in between Competitive Program Grant cycles. 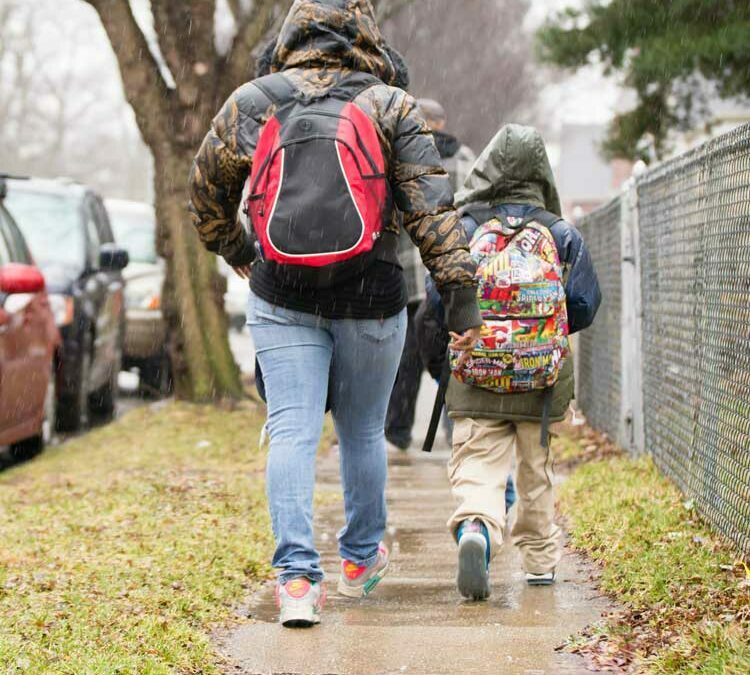 Project Identification Grant Program: Up to 2.5 percent of funds are used by ODOT to help communities identify projects to reduce barriers and hazards for children walking or bicycling to and from school and that will lead to eventual construction. Details about the current funding cycle can be found in the below links. In January of odd years, ODOT will announce the application process and timeline for the upcoming cycles. In addition ODOT will announce program application cycles as they open. Please contact LeeAnne Fergason, ODOT’s Safe Routes to School Program Manager, Program Implementation and Analysis Unit, Active Transportation Section, Transportation Development Division for more information. Check ODOT’s SRTS Infrastructure page for all the information, forms, deadlines, and requirements. Listen to SRTS experts Jenna Marmon and Beverly Leigh in this NPR interview.